Can a child’s fate be sealed at the age of seven? When Lois Letchford learns her son has been diagnosed with a low IQ at the end of grade one, she refuses to give up on his future. Testing showed Nicholas had no spatial awareness, limited concentration, and could only read ten words. He is labelled “learning disabled,” a designation considered more derogatory than “dyslexia,” and the world of education is quick to cast him aside. What happens next is a journey—spanning three continents, taking Nicholas from the bottom of the class to a Ph.D. from Oxford University. “Reversed” is a memoir of profound determination of overcoming impossible odds, turning one woman into a passionate teacher for children who have been left behind. How can a child who has been diagnosed with a low IQ work their way from the bottom to the grounds of Oxford University for their Ph.D? 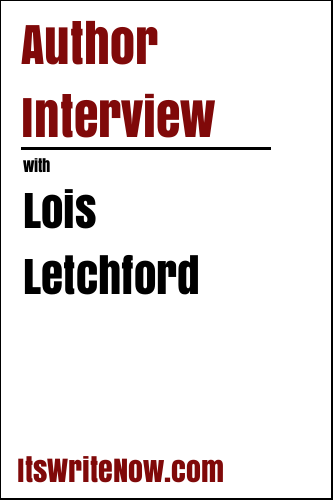 Lois Letchford, the author of ‘Reversed: A Memoir’ has kindly joined me today to answer this question, and share a little about her book that documents her son’s journey to Oxford. Lois, why was it important to you to share this journey? I knew my son’s story needed to be shared with the world. Nicholas went from a child with a low IQ to an Oxford University Ph.D. graduate. Simultaneously, my own story began–where I discovered my true passion for teaching. Our stories intertwine, and I don’t believe either of us would be where we are today without the other. It was easy to start writing; I began with my most vivid memory of Nicholas: his very first day of school. It was a disaster. As a writer, they often say it’s easier to write about the more challenging and difficult parts of life; luckily our story had quite a few. From there, it just blossomed. Showcasing the events from two lives sounds is no doubt quite a challenge when so many things have happened over the years. To keep the reading manageable, did you focus on the time earlier in your lives, or is it more tailored to the present? I drew heavily on my early life as well as the present for both my life and my son’s. What was the most important thing that you found came out of reflecting on all of those years? We MUST teach all children to learn to read, irrespective of any challenges. Not all children effectively learn in the traditional classroom, and it is up to us–the parents, teachers, and school personnel–to ensure that they learn in the ways that allow them to grow. I completely agree with you there! Some kids have trouble with the traditional classroom, but that’s no excuse for not getting them to read. To me, it feels like your book is all about learning, so I have to ask, what did you learn while turning your experiences into this engaging read? That writing is actually fun! Putting words on paper that engage the reader and being able to portray my emotions into writing has been the most positive experience. Would you call this positive experience energising? Writing is not something that is only complete when I sit at the computer. My thoughts are with me, fermenting, bubbling, forming. I find it fun to play with words and ideas and eventually put them on paper. Writing is energizing. I’m so glad you found a new love and source of energy in writing! Has you positive been so positive that you’ve started on another book? Yes, I’m working on a second book. This time, I am using the people in my first book and taking a deeper look at their learning journeys. With all of this talk about learning journeys, I’m curious to find out if you’ve been lucky enough to take the time to follow in the footsteps of another by a literary pilgrimage? Not yet — though I am starting to for my next book. I would love to go to Paris and walk in the footsteps of Richard Wright. I don’t know a lot about Richard Wright myself, but from the little that I do know I think that would be an amazing tour! But no doubt before then, you’ll need to finish your current book. Now that you’ve published one book and are making strides towards your second, what do you find keeps cropping up with you write? My audience and my characters. What reaction do I want my readers to have or feel? I often just write a scene and change it to add humor or additional emotions. I love that even at this early stage you’re already looking back on what you’ve just written, you consider what your readers want to read, and then you tweak it to make an engaging scene. It’s that consideration that will get you far! Have you found that you’ve picked up more behaviours like this, or others that have helped your writing improved as you’ve kept at it? I struggle with my own learning disability and have worked many years at gaining confidence in writing. Writing my book took a couple years and I have worked with a writing coach the entire time. With this help, writing flows more easily and my voice is stronger. Finally, I am able to enjoy putting the picture in my mind to paper. I’m so glad that you’ve built the confidence to keep writing, and getting the help of a coach is a great tip for making your voice stronger. As your voice has become stronger, have you started to think about how to link your books together with your own author brand? I am working on branding now. I speak at several literary and literacy conferences and seminars, which help with marketing for my book. I also consistently update social media, my blog, and my website. I thought writing the book was a BIG DEAL. It turns out that marketing the book is a much BIGGER DEAL and much more difficult than writing. Every day, I have to ask myself: “How and where will I spend my time and money today on marketing?” in order to have my story told. Nice choice. A little less fun, but still interesting, what is your zodiac sign? Me too! With the inventive Aquarian mind, can you share what kind of monster you would invent if you could? My sons tell me, “Mum, you cannot suspend disbelief!” So, I wouldn’t invent a monster as there are far too many of them in our world as it is! Fair enough, you are right that there are a lot of monsters in the world. We probably don’t need to be adding to that tally. One of the tallies that I’m keeping is found in my next question, are you left or right-handed? Plus one to the righties. Now, I know we agreed that we wouldn’t make any new monsters, but do you think we could indulge a little and create a new animal by mixing two together? What would you make? You know, I have no idea what that would look like, but I’d love to find out! Lois, we’re at the end of our interview today, so can you share a little of ‘Reversed: A Memoir’ to round us off? Here I am on the outskirts of Oxford University, a seat of learning for almost one thousand years, discovering people whose names have been long forgotten by most, and teaching my child who supposedly has a low IQ. What a journey! And it awaits each of our readers in the pages of ‘Reversed: A Memoir’. Lois, thanks for spending a little time with me today, and I hope that you have so much fun sharing your journey with others! Excited to read the book we discussed today? Find it here on Amazon: ‘Reversed: A Memoir ( ASIN: B079Y599W5 )‘. Want to find out more about Lois Letchford? Connect here!